Perhaps is was because I spent so many years in a Prosperity church, but I think other pastors have made use of the Bezalel story as well. Over the years, I’ve heard numerous pastors read a portion of the passage about Bezalel, though almost never in connection with the arts. Rather it was read prior to the offering. After the reading, the pastor would launch into an impassioned admonishment to imitate those early Israelites. After all, they gave so much the leaders had to finally tell them to stop. Honestly, I have difficulty imagining any pastor telling his people to stop giving. The incongruity is beyond my imagination. Every reading I’ve ever heard of that passage was an exercise in control through shame. What I wonder now, after hearing that passage many dozens of times over the years, is why no one ever identified the massive giving by the congregation with the artists to whom it was given. Bezalel and his fellow artists were part of a community that supported them in their work, so much so that their zeal had to be restrained. For most of the Christian artists I’ve known, that concept is wishful thinking. They have been marginalized at best, or often driven out of the church. As I write about the tenth characteristic of a godly artist, I’m well aware of the need to say a few things to the church community, and I will in the last post of this series. However, I first want to present a couple of thoughts about the artist’s place in the community. First of all, no artist should work in isolation. The life of a Christian is focused on relationship. Jesus said that the greatest commandment is to love God and the second is to love one another. In fact, the way that God most wants our love for him to be demonstrated is in how we treat each other. Like it or not, we are in this together—and that includes artists. To illustrate how important this is, note the dynamics of Malachi. For three chapters, God berated the Israelites for breaking their vows to him. In chapter 1, he excoriates the priests for the hypocritical attitude with which they approached their ministry, pointing out that they are under a curse because of it. In chapter 2, he inveighs against those who divorced their wives with violence and malice, linking the powerlessness of their prayers to their disdain of the most important relationship. In chapter 3, he condemns their failure to support the priests in their ministry, which has brought a curse on them. Then comes the turning point. The people got the message. We might expect them to fall on their knees and beg forgiveness from God or declare a time of fasting and prayer. However, they did something remarkable. They talked to each other. This is really appropriate since every one of the criticisms in Malachi regards the way they treated each other. The priests had treated the people they served with contempt. Husbands had treated their wives with contempt. The people had treated the leaders with contempt. Breaking the curse under which they lived required that they address their commitment to each other. And the result was that God was pleased with them. What makes an artist who serves God distinct from an artist who does not is his commitment to the community. That doesn’t mean the community, the church, will always support what you do. Part of a prophetic ministry, as we have seen artists engage in, requires saying difficult things for no other reason than because the community needs to hear them. A good artist often faces resistance. But an artist does not disconnect from the community just to be spiteful. His commitment is to work, pray and live for the good of others. 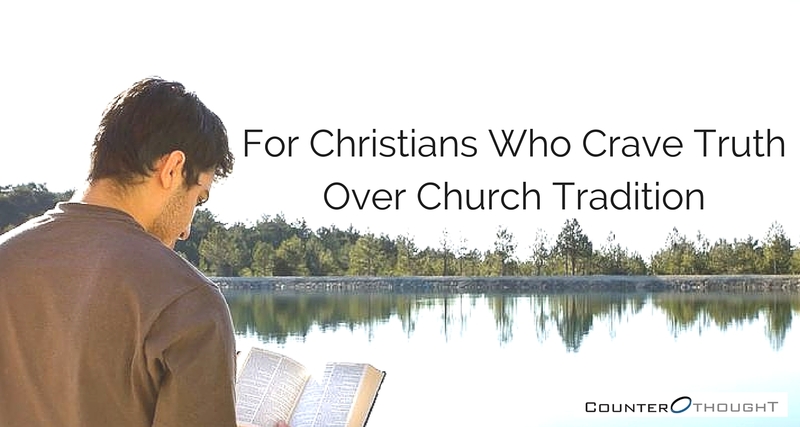 Because artists are so often marginalized by the church, it becomes very easy to just leave. I’ve seen many artists turn their backs on not just the church, but on their faith for exactly that reason. Of course, you then do no good for the church. And you do not really do anything good for yourself. One of the benefits of building deep relationships with other believers is that they help keep you from wandering too far from truth. They pray for you, to protect you as you enter into spiritual warfare. They provide a refuge when you need shelter. I understand that many churches do not do any of those things, but there are many that do. As an artist, you might need to consider looking for the kind of Christian community that will provide healthy fellowship. If that’s the case, then do so. Do not, however, ignore the importance of healthy fellowship. You need the community as much as the community needs you. Impossible to do church without community. We’re all wired that way. There are no lone rangers in the Kingdom of God.